Out of all the directions, West has an important role to play. 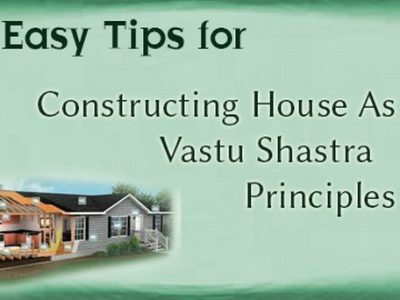 When you are studying Vastu Shastra or applying it to your constructions then you must understand the importance and problems of this corner which influences your life. The ruling planet of this direction is Rahu which is the planet influencing health, finances and stability of a person. Hence, one must give importance to this side by ensuring that this side is balanced. This article consists of information on Vastu Doshas in South West along with some of the wonderful remedies that can nullify the negative effects of those problems. All these defects are responsible for running the stability and peace of your house. Hence, it is very important that you take into account all these defects and have them solved at the earliest to have positive aura in your home. Problems in family like unhealthy marriage, children indulging in bad habits, infidelity in marriage. All these things damage the reputation of family. Health problems especially kidney related issues which affect physical well being of a person. Here are some of the very useful remedies that will keep your house free from all the problems that are caused due to wrong placement of rooms in your house. Let us find out what these remedies are. If you have your toilet in the wrong direction then it is important that you imbibe these changes at the earliest as the placement of toilet influences health in a major way. Keep the door of the toilet always closed. To nullify the effect, you can place a Vastu Pyramid outside the toilet on the South West wall. Follow these changes to keep your kitchen from the negative effects of having a kitchen in this direction. Remember, kitchen it the most important part of the house as is the source from where every member of the family gets nourishment and energy. You can have a secondary kitchen in the real direction of having kitchen which is the South East zone. Make sure that you prepare something small at that place every day. You can have your kitchen painted in shade of yellow. If possible then raise the area of kitchen compared to other rooms of the house. Make sure that you have washing area outside the kitchen. Do not use much water in this area. Follow these useful remedies to kill the effect of main door in not so supportive zone. You can place a Panch Mukhi Hanuman Ji in standing position with gada in left hand right on top of the door to keep negative energies out of house. You can even place a Trishul or Swastik or Om on both the sides of the door and also on the top of the door on the entrance. You can even place a Vastu pyramid one left and right hand side and also on the top of the main door. On the lid of the water tank, use red color to paint it. This is a temporary remedy. You can place a Panch Mukhi Hanuman Ji in standing position with gada in left hand right facing that water tank. Place Vastu pyramids in all main directions of your house i.e. North, East, South and West. Here are some remedies to help you with this defect. Use curtains in dark color to properly cover these windows. Make sure that you keep these windows closed for maximum times possible. 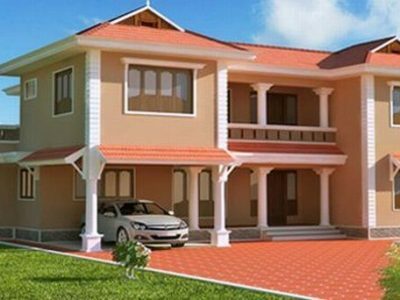 These are different kinds of doshas and their solutions which can help you have a house that is free from South West Vastu Doshas. Could you please explain how to use vastu pyramids for southwest cut, please tell me size of pyramids and how to place . Our well and kitchen is on southwest direction with cooking range facing west. Any homely suggestions other than pyramid please? South West side in some cases Toilet use is permissible,but in your case South is extended,therefore more negative vastu dosh is possible.In this case you can keep Sea Salt in bawl,and keep changing at every 30 days i.e. on amavas. Further keep the door closed,and affix ,small size copper pyramid strips on 4 side toilet door frame,for negative energy protection purpose. Sir, I have a toilet in the south west corner of my house. The door of the toilet is exactly facing the main door of the house. The Comode in the toilet is in the west portion of the toilet, which means that the person sitting is facing East. Kindly show me some remedy to remove the problems I am facing. We have a jacuzzi placed in the south west of the property. Please advise temporary solution. My flat is east facing corner flat and i have my puja room in south west corner. So please suggest some remedies for puja room. my bedroom at first floor is having storage space just below to the floor. Is it right or need to be corrected. Please advise. Please suggest if this is OK to go ahead or should we avoid this flat(on rent basis). I have sent you an email Please check it because its not possible for me to answer your questions here. My kitchen is in Southwest ,I have my problems regarding financial please help & give simple remedies. Kitchen in south west corner with sink in south west corner of the kitchen again. Can’t break kitchen and avoiding use of water in kitchen is not possible. Sir need some remedies which can reduce its effect. I hope you are doing well. My house entrance is in south-west direction. We live in United States. It’s a rented house so we can not change anything much. Are there any remedies that you can suggest to reduce the effects. My house Kitchen is in south-west direction. We live in AP. It’s a rented house so we can not change anything much. Are there any remedies that you can suggest to reduce the effects. I have sent you an email. Kindly go through it. We have a flat & having attached bathroom in SW corner is height than bedroom & door facing is east. Please suggest me what can we do as one of the family member facing head related problems. We purchased that flat in 2006 & given to the rent. Hi sir, my house is northeast entrance and living room attached kitchen ….kitchen in southwest of west facing kitchen , I can’t change the kitchen pls tell me the remedies and tell me where I can put Pooja in that room . Good evening Sir.I have a pent house with main entrance facing south . The main door is located at about 10ft. North from SW corner at ground floor.Top floor SW corner is fully closed as it is a part of bed room .All other things are normal. Please advise to over come bad effects,if any. Sir Main door of my house is from South West, I did not understand whether I keep hangman Jo’s photo outside the main door or inside. Sir we live in U.K. and I have 2 entrances -main iron gate is in southwest and northwest whereas the main enterance door to house is on northwest direction. We have living room with big windows in southwest and southeast directions. We can’t change the house or close the iron gate as it changes our address and is not possible for us to do that. We are having lot of financial issues since moving to this house. Please advise what remedies should be appropriate for us. Sir,I have North facing flat having secondary door through bedroom at south side which connects to open terrace. I am facing financial ,health and luck issues majorly for all family members and I am only the earnings person. Requesting you to provide affordable solutions to overcome with this issues. at South side,try to cover it,and keep enclosed with dark glass windows. Further keep Panchamukhi Hanuman Pratima,at top of Bed room door,i.e.facing to South side.Flooring of terrace to be raised by 3″,then Bed room floor level. I just rented an apartment and moving on 27 of January 18. Main door is in SouthWest. People say which is not good. We enter to an open place (open varandah which is under the same roof) and then turn right to enter to the main door. Here is my question: Even though we enter in to the house through SouthWest, first we enter to the verandah which is NorthWest. Please let me know the apartment is SouthWest facing or NorthWest facing ? Hello sir.. we have two south facing large windows in two bedrooms and bedroom doors are in north direction. The home is under construction and we will be shifting to new this house in few months. However, my father is frequently facing health issues. Should we close the south facing windows? Is there any reamedy for south facing windows. Please, need your suggestions. The south west corner of my flat is cut. So there is basically no south west corner. What can be done to remedy this? We are moved in to rented house, Our Main door is southwest, and bed room door also facing southwest, and bathroom and kitchen door facing to southeast. Sir we have south west entry main gate . Can we plant tree near to gate piller just out of the wall. i stay in my own apartment. south west corner is the kitchen. besides the drainage pipe line is running in the open place in the southwest corner which is low laying. should i replace and suggest me a remedy.